Ahhhh another rainy day in Bisley. Yesterday I spent the day in London and there were only a two light showers for the whole day. I caught the train into London and then walked to the London Eye. On I hopped not sure if I had made a wise choice in buying a ticket for this as heights and I are not the best of friends. Anyway I was there so on I got. Wow how glad am I that I did. It was spectacular. A nice person took this photo for me. How brave am I standing right on the edge. I took this photo when we were right at the top. When I had finished on the Eye I walked around for about 20 minutes looking for a Big Red Bus bus stop. I got back on the bus and travelled to the House of Parliament, Big Ben and Westminster Abbey which are all within a few yards of each other. 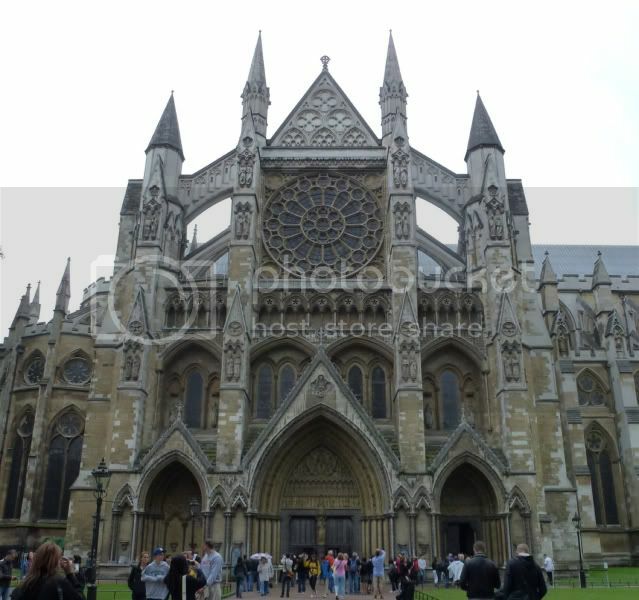 Westminster Abbey was well worth seeing the detail in the building is really something. Then I spent some time just walking around having a bit of a look at the city before getting back on the bus and going to Kensington Palace. I have to say at this point that the traffic in London is horrific. Cars buses and taxis going in all directions and so many of them. It took me over 2 hours to get from Kensington Palace back to the London Eye which is very close to Waterloo Railway Station which is where I catch the train back to Brookwood and Will picks me up from there. It is only about a 5 minute drive from Bisley to Brookwood. Kensington Palace was a bit disappointing for me. Very sparse and not much of interest to look at. No photographs allowed inside so this is a photo of the entrance with the palace in the background.